Now that it’s official, we can definitely say that spring has arrived. But you would have to have been living in a cave to think that spring in Sonoma only arrived a few days ago. Call it climate change or just yearly fluctuations, but we seem to be experiencing some early arrivals of bud break, wildflowers, and other indications that Winter is over. The Blue Dicks (Dichelostemma capitatum) have been going crazy, as have the glorious California Poppy (Eschscholzia californica, pictured), as well as a plethora of other beautiful blooms. There seem to be more with each passing day. The insects are also out in vast numbers, as this bumblebee illustrates. Note the large packets of pollen on either side. This bee has visited a number of flowers already to amass such wealth, which of course pollinates the flowers the bee visits any carries on the magic of spring. 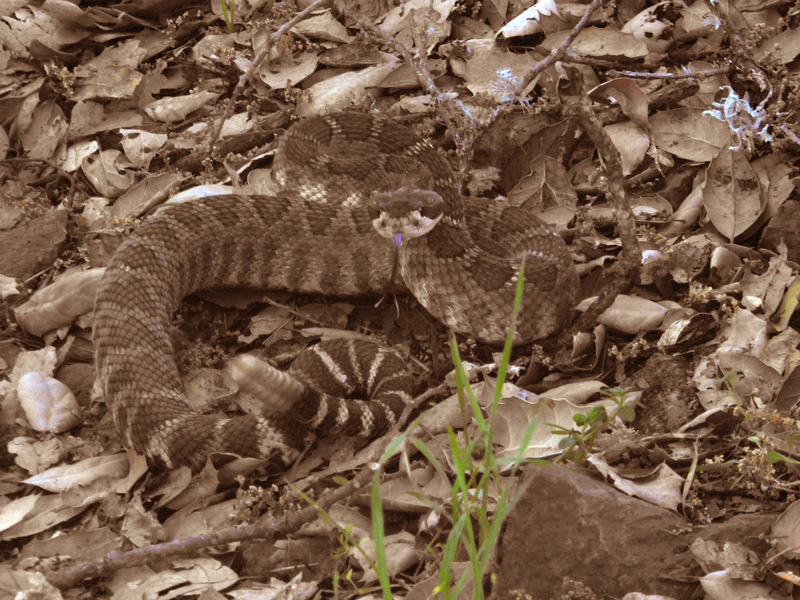 To help identify what you see along the trails, don’t miss our Flora page on this site. Although there are not a lot of flowers identified there yet, we will be working to include as many of the flowers and other plants that you see on your hikes as we can. 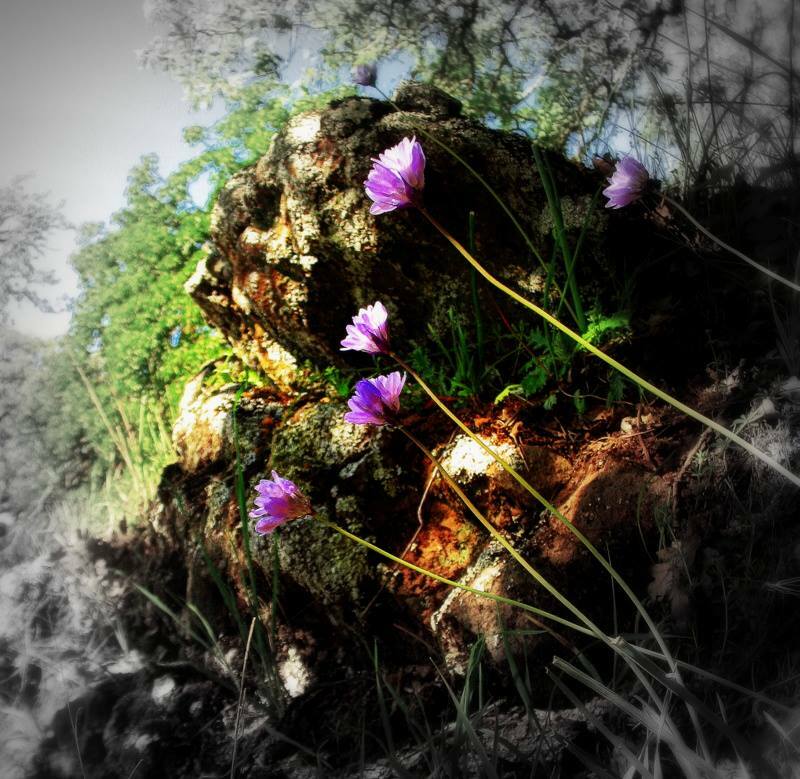 Also, don’t miss our Gallery of Trail Flowers. If you have pictures of your own you wish to add, just let us know! The Bancroft Library at the University of California, Berkeley has incredible historic collections, which began when the university acquired Hubert Howe Bancroft’s personal library in 1905. By that time Bancroft had amassed quite a personal collection, including personal documents from General Mariano Guadalupe Vallejo, whose Sonoma home sits right next to the Montini Open Space Preserve. 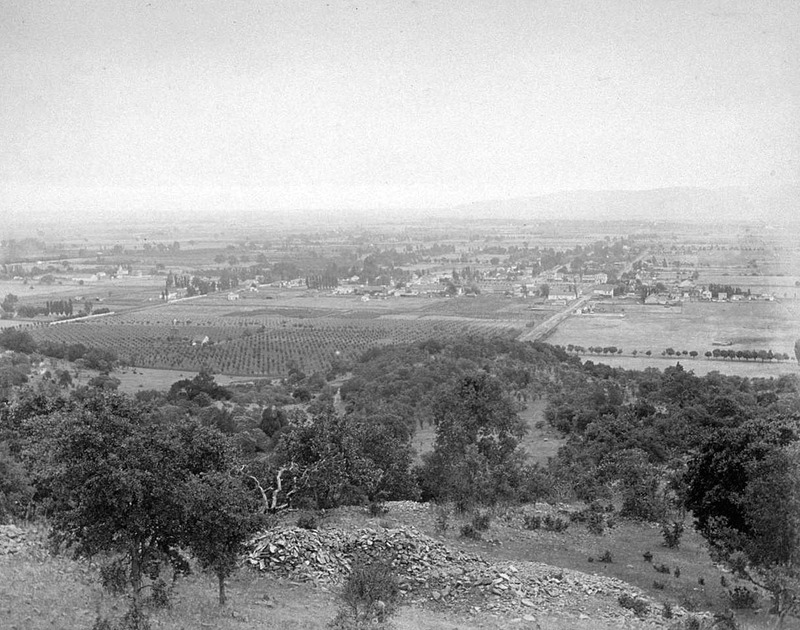 So I can’t say I was all that surprised when I came across this photograph that appears to be a view of the town of Sonoma in 1887, taken from the hills above which is now the Montini Open Space. Carleton E. Watkins had been hired to take photographs for the Sonoma Valley Improvement Company as a promotional tool. I cleaned it up a bit, including taking away the brownish cast that comes from film aging. However, feel free to look at the original digital version at UC’s digital portal, Calisphere.org. Needless to say, Sonoma has changed quite a bit in the last 128 years. I suppose you could say that the Sonoma Valley Improvement Company was perhaps more successful than they could even imagine being at the time. 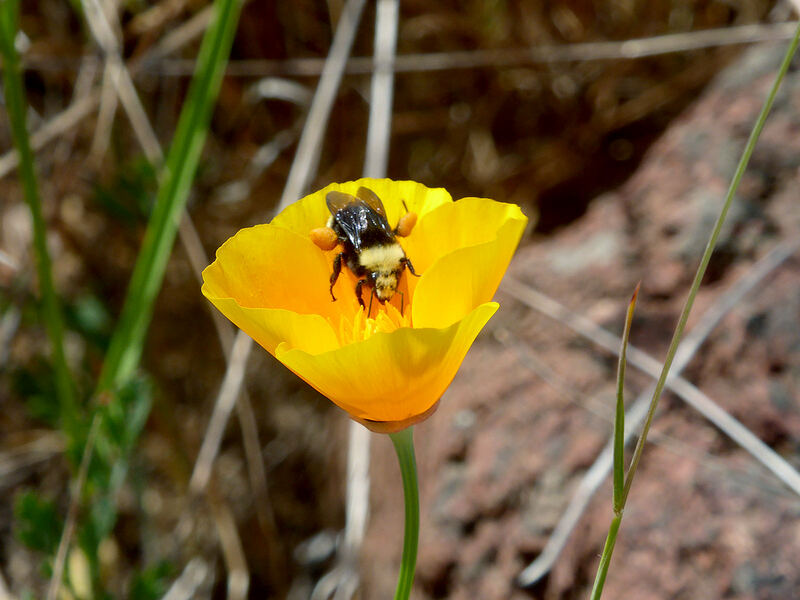 Wildflower lovers can join any one of the following upcoming walks in Sonoma County – or do them all!